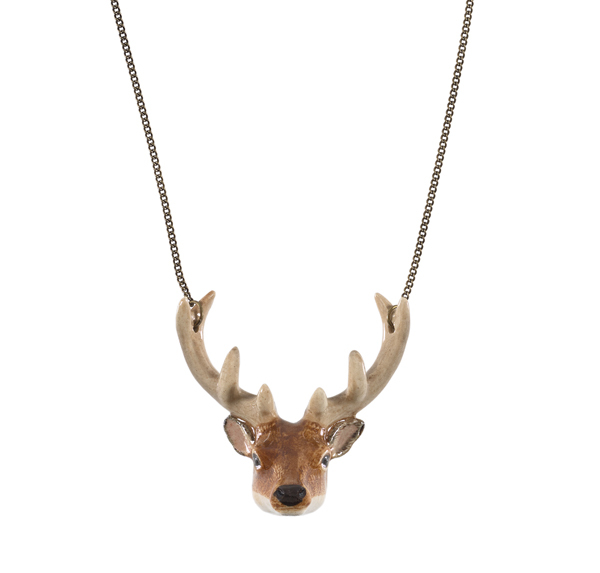 Munro necklace is an outstanding stag head made of hand painted porcelain. Antique brass extendable short chain. The running stag for many people encapsulates the grandeur and majesty of Scotland’s highlands and wildlife.